Today’s Nindies Direct started out with a bombshell. 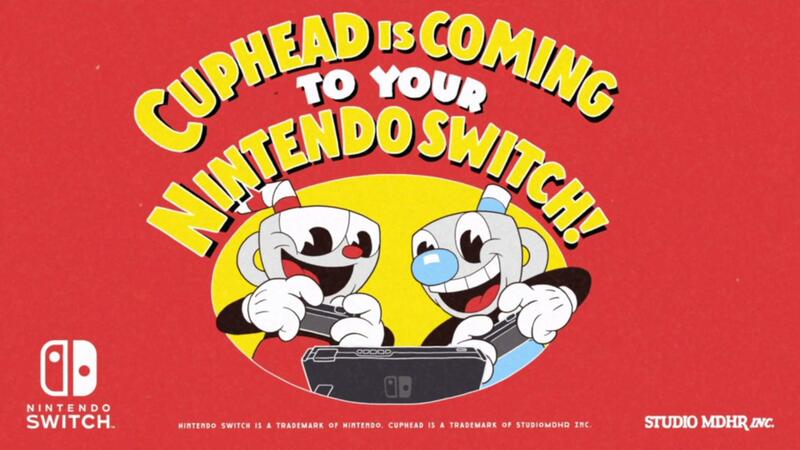 Cuphead is coming to the Nintendo Switch. The game can be pre-purchased from the Nintendo Switch eShop right now, and the game will release on April 18th. Nintendo thanked “our friends at Microsoft” for helping to bring the game to the console. The official trailer has been provided for you down below. So where is the Windows insider that pretty much tried to kill the XBox games coming to Switch rumours? This is not a microsoft game so I don’t see how that rumor has anything to do with this. To reiterate: Ori was leaked by a retailer and Super Lucky’s Tale appeared on a Gearbox employee’s CV. Either Nintendo and Microsoft have come to some kind of distribution deal together or MS is slowly going third party. The game was funded partly by Microsoft, hence why it was previously only available on Xbox One and PC. I really got to play the original first now that it’s on the Switch Online’s NES library. You know Bayonetta has been on an Xbox console before, right? Stop treating it like a Nintendo IP. Yes, a long, long time ago. while Bayonetta is a 3rd party game it sure feels like a Nintendo 1st (or at least 2nd) party. Bayonetta will forever be a Nintendo exclusive as long as Sony and Microsoft decide to change their minds and want Bayonetta on their platform until then treat Bayonetta as a Nintendo 1st/2nd party title. HA! AND SO IT BEGINS! Oh look. ANOTHER Microsoft IP on the Switch. Just put Halo on Switch and get it over with already. I was prepared to make fun of this game, but it actually looks kinda cool. Stupid name and character (the cupheads), but really gives that retro Mickey Mouse cartoon vibe. But, is it ONLY a stupid digital-only game? As long as it’s only digital, it still don’t exist. It’s basically Dark Souls but a 2D sidescroller instead of a 3D environment. So if you don’t like the idea of maddeningly difficult games, you probably wouldn’t care for it even if it was a physical game. Every game with a certain amount of challenge is Dark Souls. It’s an unspoken rule.